This post contains affiliate links. If you click through, I may receive a small commission (at no cost to you). One of the biggest hassles of being a solo or small firm lawyer is dealing with billing issues including tracking time (if billing by the hour), generating invoices, tracking payments, following up on late payments, generating financial reports, logging expenses, and more. And one of the biggest areas of conflict between lawyers and their clients is conflict about billing, invoices and fees, in part because lawyers don’t track or enter time properly, send bills consistently, or create bills that are easy for clients to understand and pay. 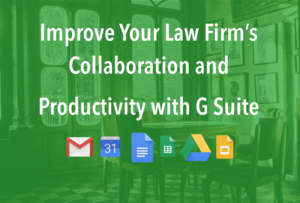 There are many solutions for solo and small firm lawyers to get rid of these headaches, including full-featured practice management programs that include time tracking, billing and invoicing, calendaring, document and case management. But if you’re not ready for a complete practice management program (or if your practice management solution doesn’t include billing and accounting functions), and you’re looking for an easy to use, quick to deploy billing and accounting solution for your solo practice or small law firm, FreshBooks might be the answer for you. I personally use FreshBooks for Legal Ease Consulting and it has become an essential part of my practice. FreshBooks is a cloud-based billing and accounting software program that includes a whole host of features to help you with your firm’s finances, and the dashboard makes it ridiculously easy to see where you are financially at any time. 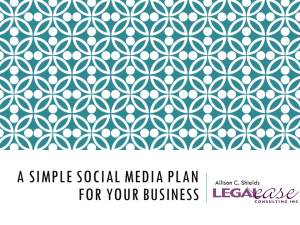 Clients like to know that their legal matter will actually cost them, not just what your billable rate is. Any time you can provide clients with an up-front estimate or budget, it’s a win for you (if you stick to the budget and explain variables that might affect the budget or fee in advance). FreshBooks has an estimates feature that can help minimize that friction with clients whether you’re billing on a flat or fixed-fee basis or billing by the hour. 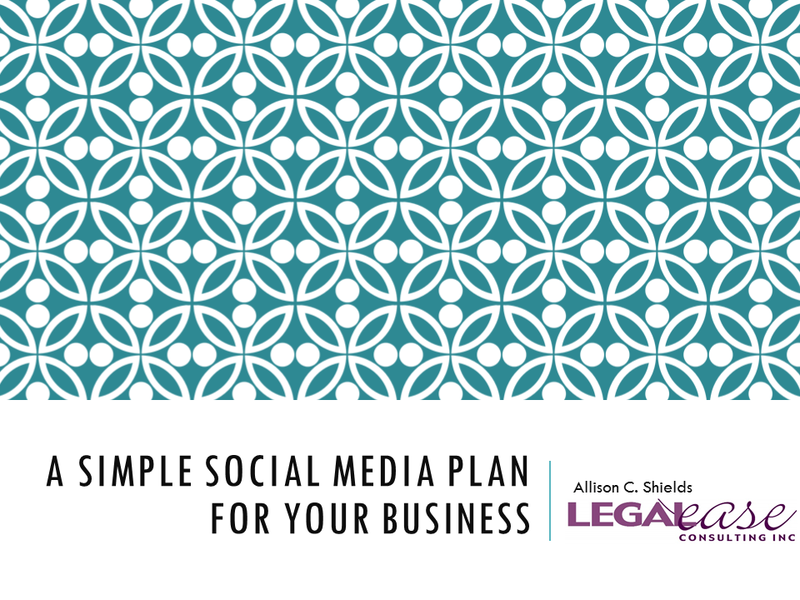 They can also be great for clarifying the budget or scope of work, or for giving clients a roadmap of the steps that will be needed for their matter to reach a conclusion. FreshBooks has estimate templates you can use, and they can be customized with your logo, colors and images. Clients can view and accept the estimate online, and you’ll be able to check the status in your dashboard to see whether the client viewed or accepted the estimate. You can also create discussions through comments to work through any questions the client might have. You can also use the estimates to compare to actual invoices and fees in the future to improve your budgeting and estimating skills. Tracking time is unavoidable if you bill by the hour. It’s always adviseable to keep track of your time as you are performing tasks for clients. This not only leads to more accurate billing, but it saves you the time it takes to attempt to re-create what you did later. FreshBooks includes a timer that will help you keep track of how long you spend on specific tasks, and you can easily see how much time has been logged by your associates or staff. Time can be logged on the go with the FreshBooks mobile app. Once the time entry is created, it’s easy to add it to an invoice. You’ll also have the added benefit of being able to see how much time is being spent on specific tasks so you can improve your productivity (not to mention your client estimates and budgets). See more about Freshbooks time-tracking here. The days of manual billing should be long past us, but too many solos and small firms are still sending invoices on the fly using a word processing program. Not only does this make billing and payments difficult to track, but it looks unprofessional and it takes up far too much time. If you’re meticulous about your work product, your business cards, your website, and your appearance when meeting with clients, why wouldn’t you be just as meticulous with your invoices or billing statements? Your invoices should be well laid-out, easy to understand, professional looking, and contain your firm’s name (and/or logo), address, descriptions of the work performed for clients and the fees charged. FreshBooks can help you with all of that. It’s easy to create invoices, set due dates, or even send recurring invoices for clients on a regular payment plan. Again, you can use the templates already in Freshbooks or customize your own. One of the things I love about FreshBooks is that I can see the status of every invoice that was sent out. I check my dashboards periodically to make sure that none of my invoices were overlooked by my clients. I can see whether a client has viewed the invoice, and if they haven’t viewed it within a specified period of time, I can reach out to them to make sure it didn’t land in their spam folder or get lost in the shuffle somewhere, and I can easily re-send the invoice. I don’t have to worry about following up for late payments, either. I can set up FreshBooks to send my clients a late payment reminder automatically if payment has not been received within the amount of time I specify. If you want, you can also add late payment penalties. See more about invoicing with Freshbooks here. Make it easy for your clients to pay you – and get paid faster – by sending clients online invoices and accepting credit card payments. One of the great things about using FreshBooks is that you don’t need to set up a separate merchant account and payment gateway or jump through a lot of hoops to accept credit cards. 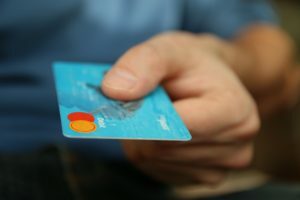 If you decide to take credit cards, you need to set up the feature in FreshBooks (they take a percentage of the fee, similar to other credit-card acceptance platforms), click a button in the invoice, and your client will be able to pay you with a click of a button in the invoice as soon as it is emailed to them. But if you don’t want to accept credit cards, you can still send online invoices and tell FreshBooks that you only want to accept checks – your clients will still get their invoice by email, which can significantly decrease your wait to get paid. Find out more about accepting payments through FreshBooks here. If you connect your bank account to FreshBooks, you can automatically track and categorize expenses, and even pass expenses along to your clients where appropriate. Freshbooks will also let you take a picture of a receipt and add it to an expense, making it much easier at tax time. If you don’t want to connect your bank account, you can add and tag expenses yourself. Either way, it’s easy to see what your weekly, monthly and yearly expenses are. Don’t wait until tax time to take a look at your firm’s overall finances. Financial reports can help you see where your firm stands financially at any time, and can give you insights into average fees, fees billed vs. fees collected, how much work was written off, and more. In addition to the dashboard mentioned above, FreshBooks has a host of financial reporting capabilities to help you stay on top of your firm’s finances (and to help you and your accountant prepare your taxes!). These include profit and loss statements, accounts aging and expense reports, among others. You can sort, filter and customize reports so you get only the information you need when you need it. See more about financial reporting with Freshbooks here. Lawyers attend (or host) a lot of meetings. Even solos are involved in bar association committee meetings, networking meetings and client meetings, just to name a few. Meetings can be held in-person, or virtually by video or teleconference. Meetings can be invaluable tools to brainstorm, get input from a number of people at once, develop goals or strategies, discuss a problem or choose an action or outcome. But meetings can also be huge time-wasters. Many meetings are unproductive due to the lack of a specific objective, unclear agenda or other problems. 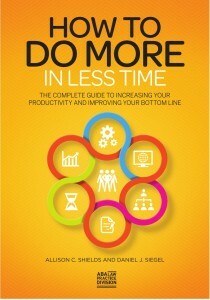 That lack of productivity is compounded when the wrong people attend or when meetings are unfocused. And just like email isn’t the best tool for all purposes, meetings aren’t the best tool for all communications. Meetings should have a specific goal or intended action outcome. If you’re tempted to schedule a meeting just to provide an “update” to a number of people, it may be more appropriate to provide that update using another method and eliminate the meeting. In those cases, a more appropriate tool to provide the information might be a project management tool (like Basecamp), email, or a note in the client or project file, unless the update is significant or is tied to an event or celebration. First, decide the purpose and goal for the meeting. What outcome do you want to see from the meeting? Is this a brainstorming meeting to generate ideas, a meeting to identify and/or resolve issues, an action-based meeting to identify next steps and responsibilities, a task-based meeting to accomplish a particular assignment or a meeting to make a decision? Once you know what you are trying to accomplish, you can decide on the meeting structure that will work best: will it be a free-flowing discussion (good for brainstorming or generating ideas) or will participants have a set time to speak (perhaps better for check-in or status based meetings)? Does the meeting address a time sensitive issue that must be addressed right away, or is it a future-oriented, planning meeting? Attendance can make or break your meeting: inviting too many people can unnecessarily complicate it, but inviting too few (or the wrong people) can hinder progress. Your knee-jerk reaction might be to invite everyone in the firm or everyone in a particular category of people to participate in every meeting, but we recommend that you give a little further thought to who should participate in your meetings. The meeting’s purpose will also drive the attendance. Determine whose experience or expertise will be necessary to accomplish the meeting’s purpose. If the meeting is a decision-making meeting, it stands to reason that the decision-makers must be present in the room in order to accomplish the goal of the meeting. But be sure to include other stakeholders and those who might be significantly impacted by the decision so that they may provide their input or perspective on what factors should be considered. You may also want to consider whether some participants should only be present for a portion of the meeting, rather than for the entire meeting. Create an agenda for the meeting with topics to be discussed and persons responsible. Show that you respect the time of all involved and set limits for discussion, with a concrete beginning and ending time for the meeting. Advise attendees of the date and time of the meeting. Communicate the purpose and expected outcome of the meeting, goals and agenda to all participants well enough in advance of the meeting so they can prepare. Include any supporting documents needed for the meeting, or that you expect participants to have reviewed or to be familiar with for the meeting. Advise participants of their expected role at the meeting. Request that participants respond to confirm their attendance. Send out a meeting reminder the day before the meeting to confirm. Start on time and stick to your agenda. Make sure introductions are made if you are not certain that everyone participating knows one another or if some participants are attending the meeting remotely. Have each person indicate who they are and why they are there or what their role in the firm or group is. Begin the substance of the meeting by repeating the goal or purpose. Advise participants of the format of the meeting. If there is a projected (or firm) end time for the meeting, announce it in the beginning so that everyone is aware of it. If issues arise that are unrelated but must be discussed during the meeting, request agreement of the participants to continue the meeting beyond the originally agreed-upon end time and establish that only those individuals involved in that particular project or issue be required to stay. 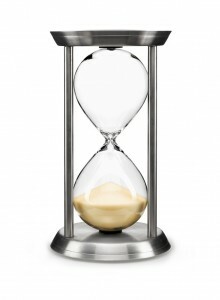 If non-urgent issues arise, table them for a meeting to be held at another time specifically for that purpose. Designate one person to be the meeting facilitator to keep the meeting on point and on time, or assign a time-keeper to keep an eye on the clock and remind the facilitator. To obtain maximum participation, make the meeting a ‘safe place’ for people to express their opinions without judgment or ridicule. Allow each person the opportunity to speak, but don’t let one person take over the meeting. Obtain different perspectives by asking open-ended questions. Increase participant engagement in the meeting is to assign different people to lead the discussion on each agenda item. Before concluding the meeting, develop an action plan based upon your initial agenda. If necessary, recap the decisions that were made, lessons learned, or options identified during the meeting. Identify next steps, set deadlines for the tasks identified and assign responsibility for those tasks to specific groups or individuals. Determine whether additional or follow up meetings will be required and, if possible, schedule them immediately. Even if you don’t take ‘minutes’ of the meeting, make sure that the main goals and decisions, deadlines, action steps and responsibilities determined during the meeting are communicated afterwards, in writing, if necessary. Consider whether they need to also be disseminated to those who were not present at the meeting to make follow up and future meetings more productive, even for those who were unable to attend. Follow up individually with those who have action steps to complete. If follow up meetings are necessary, add the tasks and responsibilities that were established to the agenda for follow up, or request that responsible parties submit a report of their progress to be attached to the agenda for the next meeting. Meetings don’t have to be a black hole of wasted time if they are utilized properly. 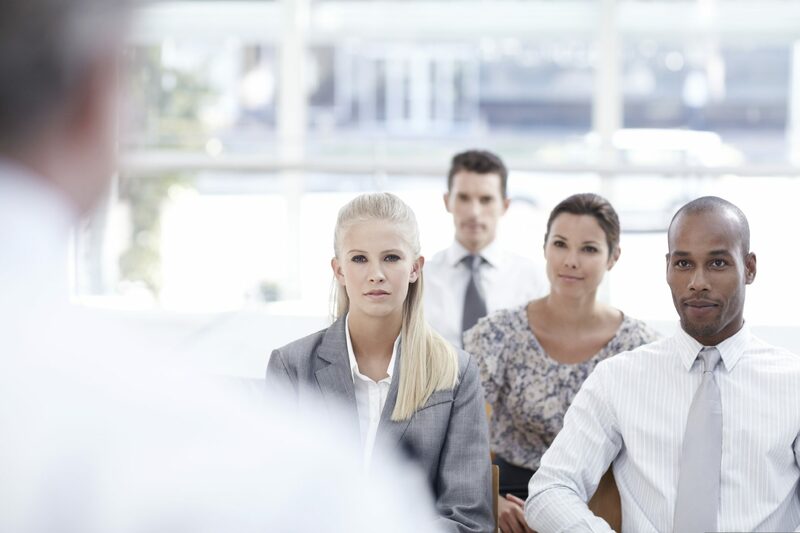 First, you must determine whether conducting a meeting is the correct way to accomplish your objectives. If it is, you’ll want to develop a meeting agenda based upon those objectives and invite only those people who are required to meet those objectives or make decisions necessary to move the project forward. Communicate the objective in advance to allow participants to fully prepare. Then use meeting facilitation techniques to keep the meeting on task and on time. And don’t forget to summarize what was accomplished and document next steps, deadlines and responsibility. 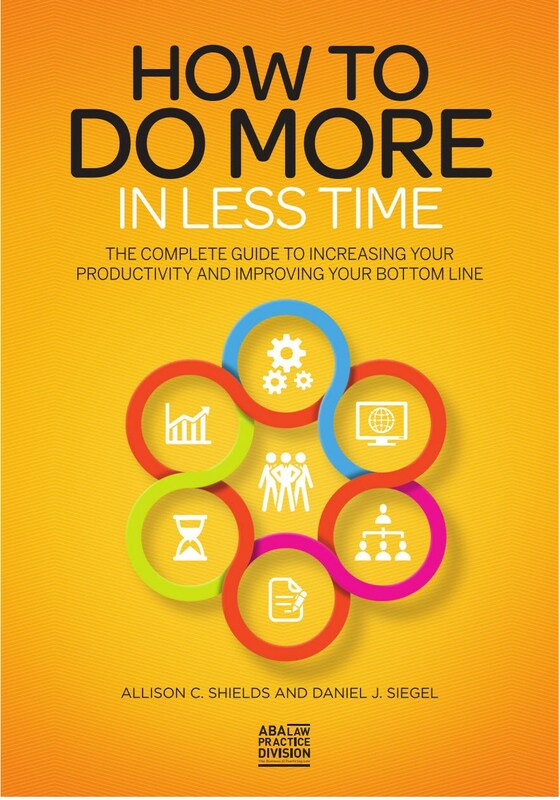 This article is an excerpt from my upcoming book, “How to Do More in Less Time: The Complete Guide to Increasing Your Productivity and Improving Your Bottom Line,” with Daniel J. Siegel, scheduled to be published later this year. 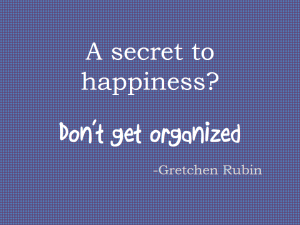 Don’t Organize – Spring Clean! It’s Spring, and that’s the time of year that many of us turn to clearing out the clutter, both at home and at work. Somehow it’s tolerable in the winter months when we’re hunkered down, but something about the warmer weather makes us want to strip down and create some room to breathe. But for people who have the “clutter mentality” (another of Gretchen Rubin’s phrases), Spring cleaning means simply organizing, without tackling the first the crucial step – eliminating. Rather than evaluating what’s important to keep and what no longer serves, those with a clutter mentality will organize and simply make things neat, without making the hard choices. Fancy organizing tools – including technology tools – can be fun to use, but don’t let them become a crutch that you use to avoid making difficult decisions. Keeping things – or information – that you “might” need “someday” can be more of a distraction than it’s worth, especially if you can’t actually find it when you need it. Real organization – and Spring cleaning – starts with clearing out – getting rid of anything and everything that is outdated or no longer useful. 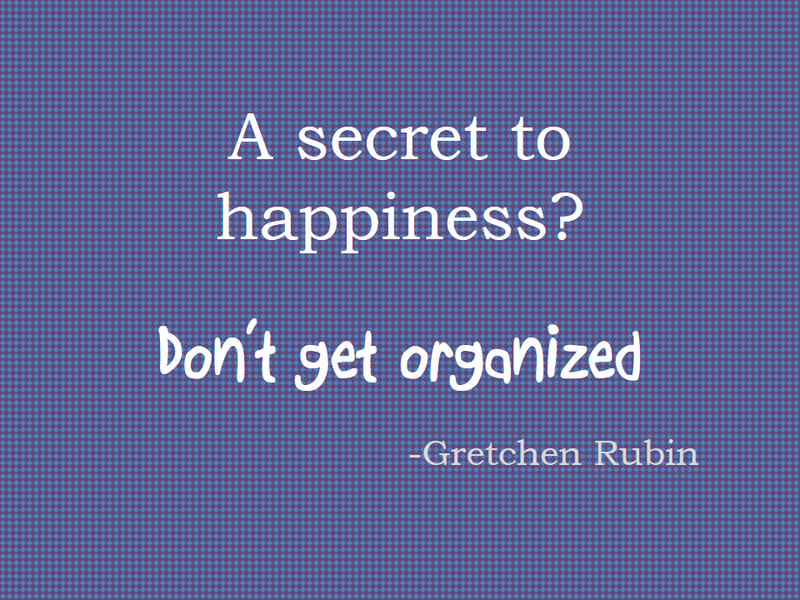 As Gretchen says, “If you don’t keep it, you don’t have to organize it.” Clutter prevents you from working efficiently by distracting you, covering up important documents or files, and by adding to anxiety and stress. Your office should only contain paperwork that you’re currently working on, supplies and files that you need on a regular basis, and a few mementos that are meaningful. The rest is trash or should find another home. 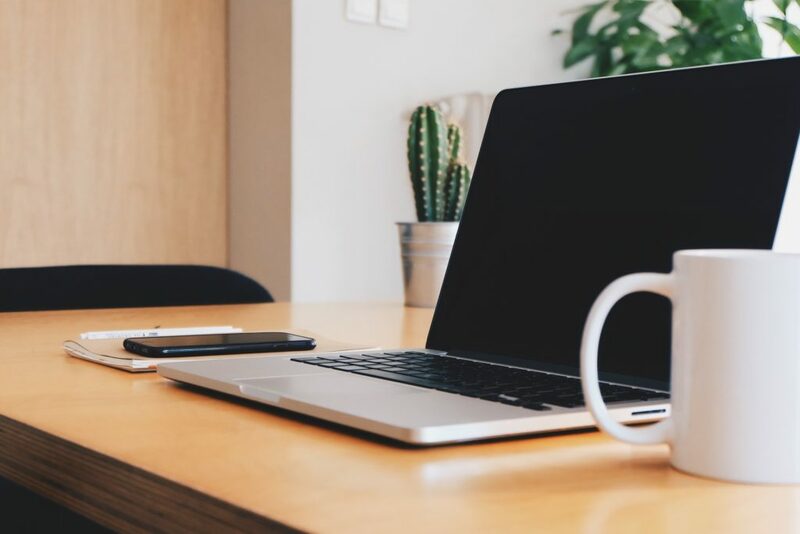 Keep only those items in your office that you need to take action on or that you need to refer to when doing your work – but if the item is for reference on a project you won’t be working on in the next day or two, file it to keep the clutter out of your office – and to prevent distractions from the task at hand. If you haven’t done so already, now might be a good time to consider going “paper-less.” Instead of worrying that everything might not have made it to the paper file, or playing file tag with others in the office who need access to the same documents, scan everything that comes in and file it right away into the matter’s electronic file. But even if you work with paper files, don’t use your office as a place to store them. Your office should contain on the files you’re actually working on. Create an automatic deadline for tossing certain items, like bar association publications or section newsletters. Often, they are available online and they’ll be easier to find (and read) that way than by wading through a stack of periodicals to find the article you think you remember seeing. Get control of the mail and email. When mail arrives, categorize it immediately, and make a place in your office for each category. If it’s mail that has a particular date, make sure the date gets entered into your calendar immediately. Outdated emails or emails that aren’t client-related should be deleted. There’s no need to keep thousands of emails in your inbox. Do you need another reminder? Bad clients drive out good clients. They drain you of energy and distract you from doing your best work for your best clients. Consider firing some of your worst clients (or letting your staff tell you which clients they think you should fire). If you have motivated employees that contribute to your firm and help make you successful, by all means, keep them – and take good care of them. But some employees are toxic and drag down the rest of the firm. If you have employees that are abusive to staff, or clients, don’t pull their weight or are otherwise dragging you down, it may be time to bite the bullet and get rid of them. Are you performing tasks you don’t need to do? Delegate more. Are some tasks being performed by multiple people, multiple times? Streamline your tasks so that the fewest possible people are involved in any particular task. When is the last time you reviewed your office procedures? Have some of your old procedures become redundant? While I’m all for using lists, they need to be productive for you. A to-do list that contains too many tasks is overwhelming and unproductive. Make a “don’t do” list to help you drop unnecessary or unimportant items off of your to-do list. If you’ve been carrying a particular item on your list for a long time, reconsider whether that item is a priority for you. Instead of piling things onto your to-do list, schedule specific times to accomplish them and put them on your calendar. Re-visit your services: are there some services that have become outdated? Are you out of date or in need of a refresher course in your area of practice? Are there new areas of practice emerging that you would like to focus on? Are your clients’ needs being met with your existing services? Now that you’ve cleared out, I give you permission to organize what’s left. But don’t forget to do a periodic purge. Before you leave the office at the end of the week, take 15 minutes to do a quick pick up of your office – move out files or paperwork that doesn’t belong, get rid of any unnecessary mail or junk flyers, etc. Take a few minutes to review your calendar and tasks for the following week, and make a plan. Goodbye Google Reader, Hello Pulse? By now you have probably heard that Google is de-activating its RSS feed reader, Google Reader, effective July 1, 2013. For those of us that rely on RSS to keep up with current news, to follow blogs or websites, this is a huge problem, whether you use Google Reader as your RSS reader or not. Why? Because many RSS readers were using Google Reader to power their own feed readers (FeedDemon is one example). It remains to be seen how LinkedIn will integrate Pulse into its platform and what this will mean for both Pulse and LinkedIn users. Perhaps it will integrate into LinkedIn’s LinkedIn Today feature, which aims to deliver news daily to LinkedIn users, tailored to their interests. It’s important to me to stay up to date on industry news that affects both me and my clients, so I rely on news aggregators or feed readers to push me content that’s relevant and that I can skim through or bookmark to read offline. As you can see, I’ve signed up for Pulse just to see what it’s like – I’m still exploring my own alternatives for Google Reader, and I’m a LinkedIn user, so I thought I’d try it. It was easy to import my existing Google Reader feeds, and I can add new ones easily using the Chrome extension (I use chrome as my web browser). Google Reader probably won’t be the last free web application to bite the dust, and there are sure to be more changes on the horizon for LinkedIn and other social media applications. I’ll keep trying to update you as I see changes coming.